Make an exciting choice for a winter outing with this simple sweatshirt from Flying Machine. Made from good quality fabric, this sweatshirt will be perfect according to your convenience which gives you cosiness. 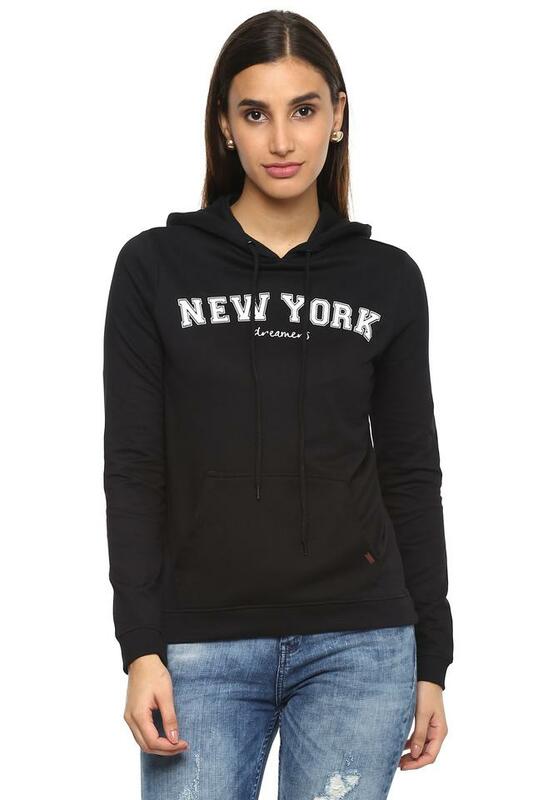 Featuring a hooded neck, full sleeves and solid pattern, it boasts of enticing poise. Cut to a relaxed silhouette, this sweatshirt is perfect for a day out. 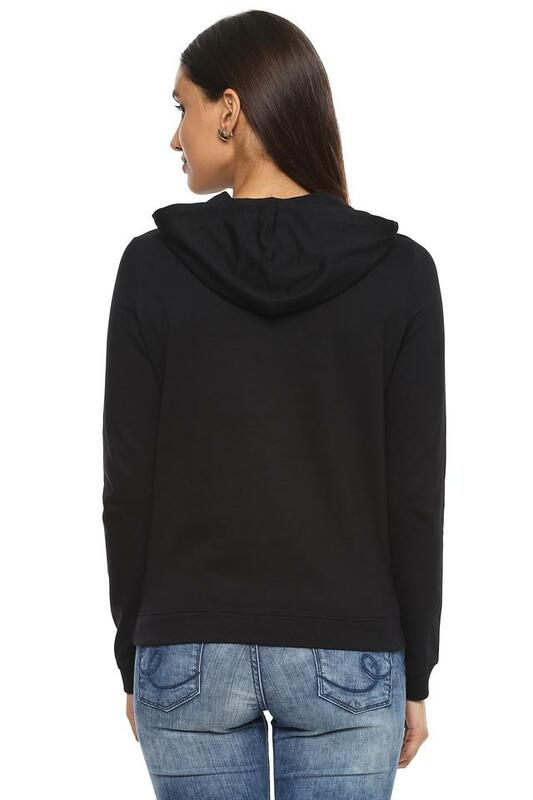 Team this sweatshirt with a pair of contrast denim and boots for a chic look.